One of the tragedies of skin care is that many women are trying to hard to remove skin blemishes often destroys the skin's natural beauty. It doesn’t do any good to find the best skin foundation or the best skin moisturizer if your skin care habits actually aggravate your skin problems. There are many mistakes that sufferers of acne, rosacea, psoriasis, eczema, psoriasis, and wrinkles can make, but these five are the most common skin care errors that destroy beautiful skin. 1. Rub your skin away. When pores get blocked and pimples follow, it's natural to want to remove the bad stuff underneath that is inflaming your skin. The problem with rubbing your skin to get rid of blemishes is (1) the most noticeable blemishes are caused by the oxidation of your skin or the accumulation of blood under your skin and won't come out no matter how hard you rub, and (2) rubbing skin can actually cause acne to break out. Always treat your skin gently. If you notice little flakes of skin (especially after sunburn) or you have dry skin, moisturize to protect the living cells beneath, and then exfoliate with a very mild peel chosen for your skin type if you want to highlight your natural skin tones. But whatever you do, don't rub. Pat your skin dry. Rubbing skin loosens microscopic bits and pieces of dead skin but doesn't remove them. They can linger on the surface of the skin where they block pores and cause acne. Even though the individual flakes of dead skin may not be visible, they can still cause an odd matte or texture to the skin that becomes particularly noticeable a few hours after putting on makeup. 2. Dry your skin out. What is best for oily skin never involves drying it out. Even if your skin is oily, it is never a good idea to try to make it dry. And even oily skin often needs moisturizers. Drying out the skin is usually a misguided attempt to deal with the consequences failing to keep naturally oily skin clean. Why shouldn't you try to dry out your skin? First of all, "drying" removes moisture. It leaves oil. In fact, it leaves oil that becomes trapped in dried out, tight, inflexible, wrinkled skin. Drying skin doesn't treat acne or rosacea. In fact, it can make them worse. The skin around whiteheads and blackheads can become so tight that it is impossible for them to drain. They can only accumulate more and more sebum, bacteria, and irritants. And in rosacea, drying out the skin makes it more sensitive to the changes in temperature that cause blood vessels to dilate and redden the skin around the eyes and across the cheeks. 3. Eat lots of sugar. The old advice used to be that if you wanted perfect skin, you had to avoid chocolate and nuts. Both chocolate and nuts, it turns out, contain flavonoids and essential fatty acids that actually help maintain healthy skin, provided consumption is limited to about 100 g (3 oz) of either food in any one day. Sugar, however, is destructive to skin health. This is because high blood sugar levels are relatively easy to lower in other parts of the body, but it simply takes longer for insulin to reach the microscopic blood vessels the flow through the skin. It is possible to have a kind of "skin diabetes" whether or not you have any other form of diabetes. What happens when you heat sugar? You get caramel. A similar process occurs in the skin. The higher the blood glucose concentration in the capillaries of the skin, the more likely sugar is to join to various proteins to make them glycosylated, or "sticky." These sticky proteins make skin stiffer. Stiff skin wrinkles, has less circulation to carry away toxins and irritants, and traps the skin oil sebum inside pores. Avoiding sugar is not enough to guarantee beautiful skin, but it's a great start. Freckles, age spots, and wrinkles are a common complication of too much sun. 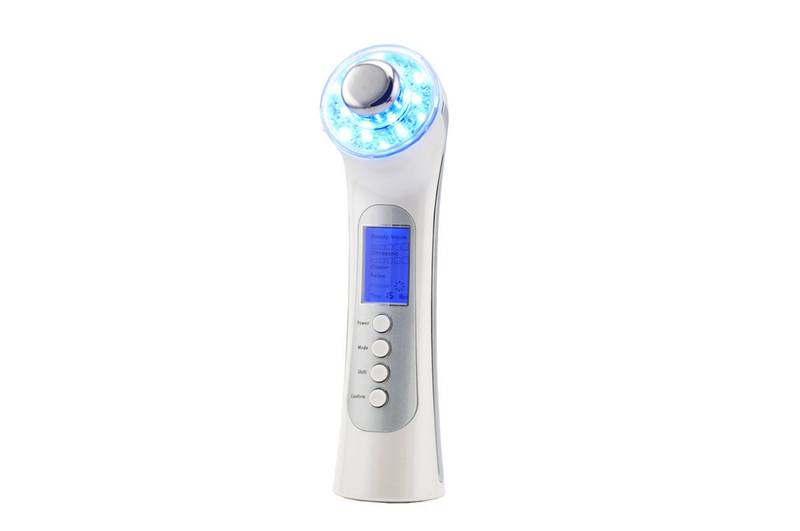 The UV-A rays of sunlight damage DNA so that skin cells cannot repair themselves and grow normally. The skin tries to remedy itself by "tanning," but sometimes the cells that make the melanin that makes skin dark go into overdrive, leading not to a smooth, healthy tan, but to clumps of lentigos and liver spots. In most of the United States and in all of the tropics, people should wear sunscreen every day of the year. Getting at least a little sun on a regular basis is essential to the body's ability to make vitamin D (and, ironically, vitamin D deficiency is a leading cause of skin cancer), but always make sure you wear a sunscreen or a foundation with sunscreen that protects against not just UV-B but also UV-A. 5. Wash your skin with industrial-strength soap. If you work on old cars for a living, you probably use some soap like Lava to get the grease off your fingers. But if you do, could you get a job as a hand model? Drying, abrasive soaps are especially detrimental to beautiful skin on the face. Choose mild soaps, applied with warm (not hot or cold) water, preferably a soap chosen to take into account whether your skin is oily or dry, sensitive or normal, and whether you have allergies or sensitivities. Spread the cleanser over your skin. Let it do the work of cleansing your skin. Then remove with more warm water, and pat skin dry. Never use an abrasive on any skin unless absolutely necessary. Avoiding these five mistakes will make it a lot easier to keep beautiful skin. And energizing the skin will help even more. Putting together a cleanser, toner, and moisturizer from what's on sale at your local drug does not help much; it might even damage your skin. You should always use a skin care system that is designed and formulated to work together with the facial serum. 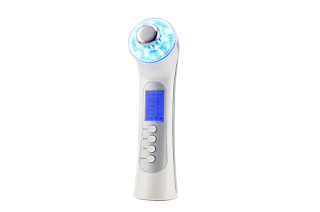 With a proper skin care system, such as the Fyola Facial machine with ultrasound gel or facial serum, there is no more guess work about which product is best for your type of skin. Men can also use this skin care system.